The AOA is proud to announce the names of the individuals who have been selected to participate in the 2019 American-British-Canadian (ABC) Traveling Fellowship tour. The 2019 ABC Fellows will tour orthopaedic centers throughout Australia, New Zealand, and the United Kingdom for five weeks in the spring of 2019. 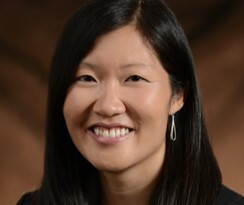 Antonia F. Chen, MD, MBA is the Director of Arthroplasty Research at Brigham and Women’s Hospital at Harvard Medical School. She was an Associate Professor at Sidney Kimmel Medical College, the Associate Director of Research at the Rothman Institute, and the Director of Medical Education Curriculum, Musculoskeletal Studies at Thomas Jefferson University. She received her BS from Yale University and her MD from Rutgers Medical School, where she graduated with Distinction in Research and Alpha Omega Alpha. Antonia received her MBA from Rutgers Business School and is a member of the Beta Gamma Sigma Honor Society. She completed her orthopaedic residency at the University of Pittsburgh and her fellowship in adult reconstruction at Rothman Institute. She has been named the Charles A. Rockwood ABC Traveling Fellow. Sukhdeep K. Dulai, MD, MHSc(Epi), FRCSC is the Specialty Lead for Orthopaedic Surgery at the Stollery Children’s Hospital (Edmonton, AB), an Associate Professor at the University of Alberta (U of A), and the current President of the Canadian Paediatric Orthopaedic Group (CPOG). After undergraduate, medical and residency training at the U of A, she completed fellowships at the Children’s Hospital at Westmead (Sydney, Australia) and BC Children’s Hospital (Vancouver, BC) and a master’s degree in clinical epidemiology at UBC. Her subspecialty interests are limb deformity and neuromuscular disorders. Her clinical research program focusses on developing multicenter and multidisciplinary collaborations and she has a special interest in the use of novel clinical technologies in orthopaedics. She is a Canadian Orthopaedic Association (COA) fellow. 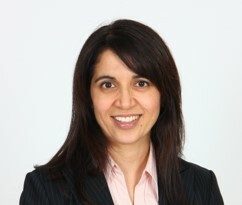 Ruby Grewal, MSc, MD, FRCSC is originally from Vancouver, BC and currently lives in London, ON. She completed a BSc in Physiotherapy, and completed her MD as well as her orthopedic residency at the University of British Columbia. She completed a fellowship at the Roth|McFarlane Hand and Upper Limb Centre in London, ON and a second fellowship at the Royal North Shore Hospital in Sydney, Australia. During her fellowship in London, she also completed a master’s degree in epidemiology and biostatistics. She returned on staff at Roth|McFarlane in 2006 and sub-specializes in upper extremity, with a focus on hand, wrist and elbow surgery. She is a COA fellow. 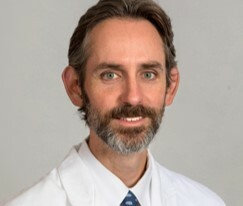 Derek Kelly, MD, FAOA is a Professor of Orthopaedic Surgery at the University of Tennessee-Campbell Clinic Department of Orthopaedic Surgery. He serves as the Campbell Clinic Pediatric Orthopedic Fellowship Director and the Campbell Clinic Assistant Orthopaedic Residency Program Director. After graduation from medical school and orthopaedic surgery residency at the University of Arkansas for Medical Sciences in Little Rock, AR, he completed the Dorothy and Bryant Edwards Fellowship in Pediatric Orthopaedic and Spine Surgery at Texas Scottish Rite Hospital for Children in Dallas, TX. He currently practices pediatric orthopaedics and spinal deformity surgery at Campbell Clinic and Le Bonheur Children’s Hospital in Memphis, TN. He is active in a number of professional societies, including the American Academy of Orthopaedic Surgeons (AAOS), American Orthopaedic Association (AOA), Scoliosis Research Society (SRS), and the Pediatric Orthopedic Society of North America (POSNA) where he has served on multiple committees and currently chairs the POSNA Publications Committee. He also serves as the Deputy Editor for Review Articles for the Journal of Pediatric Orthopaedics. He is an active member of the International Perthes Study Group (IPSG) where he serves as Chair of the Membership Committee. He was a POSNA/EPOS Traveling Fellow in 2016. He has contributed over 65 peer-reviewed scientific articles to the orthopaedic literature, as well as numerous chapters to orthopaedic textbooks. He has been married to Hallie for 13 years and has two daughters, Muriel (6) and Anabel (4). Michael Lee, MD, FAOA is an Associate Professor in orthopaedic spine surgery at the University of Chicago Medical Center in Chicago. He received his medical doctorate at Northwestern University, finished his orthopaedic residency at Case Western Reserve University, and completed a spine fellowship at Rush University Medical Center. After training, he then began his surgical practice at the University of Washington. There, he pursed several research interests and was awarded the Surgical Dynamics Endowed Chair for Spine Research. 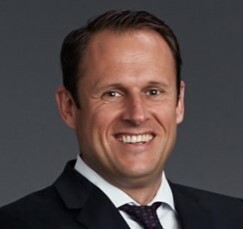 He then transitioned his practice to the University of Chicago where he has established a busy clinical practice in all aspects of spine surgery and co-directs the Operative Performance Research Institute. Philipp Leucht, MD, PhD grew up in Bochum, Germany, where he also attended medical school at the Ruhr-University Bochum. During his orthopaedic trauma residency at the Johann-Wolfgang-Goethe University in Frankfurt am Main, Germany, he was offered a postdoctoral fellowship at Stanford University. During this time, his basic science research focused on bone development, bone regeneration and stem cell biology. Once exposed to the U.S. academic system, he decided to that his academic future would be in the United States. He then applied and graduated from residency and fellowship at Stanford University and started his independent clinician-scientist career at the prestigious Hospital for Joint Diseases at New York University School of Medicine, where he now leads an NIH-funded research lab focusing on bone regeneration and stem cell biology. In his free time, he enjoys spending time with his wife, Alesha, and 2-year-old son Finn. 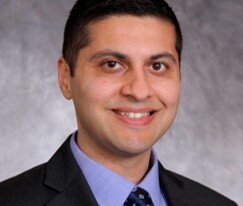 Hassan Mir, MD, MBA, FACS, FAOA is Director of Trauma Research at the Florida Orthopaedic Institute and Residency Program Director at University of South Florida. He has served as Digital Editor for OTA International, on the AAOS Diversity Advisory Board and Council on Advocacy, on the AOA Leadership/Fellowships Committee, and on the ACS Committee on Trauma. Dr. Mir has authored over 100 articles and book chapters, and lectured nationally and internationally. He was presented the Faculty Teaching Award at both Vanderbilt and at USF/FOI. He has been awarded an AOA/JOA Traveling Fellowship, an AAOS Leadership Fellowship, and an AOA/ABC Traveling Fellowship. Did you know that the AOA recognizes significant contributions from individuals and organizations by allowing the naming of a program, fellowship, or lecture - including Traveling Fellowships ? You can honor a mentor, the memory of a loved one, your family or yourself by supporting one of the AOA's signature leadership initiatives. To learn more about the naming opportunities, click here.